Display of Portraits inspired by EJ Bellocq by John and Lori Cernak commemorating The District "Storyville." 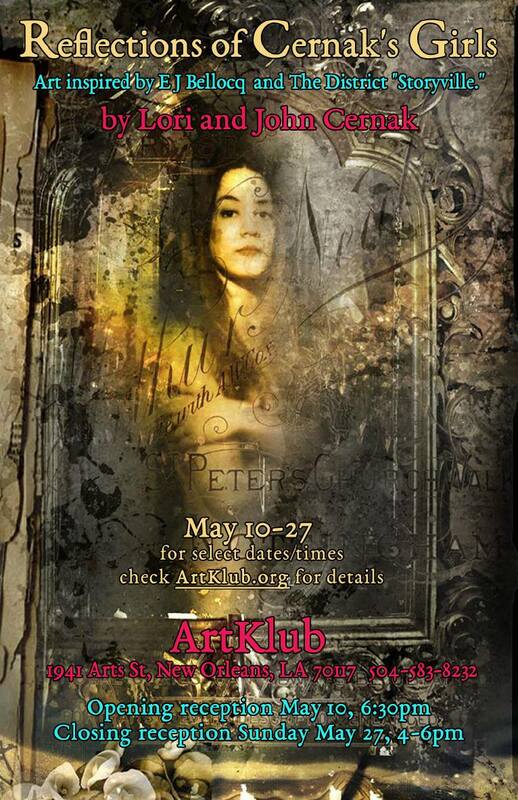 Opening reception May 10 in conjunction with Staged Reading of original play by Amy Reuben "Reflections of Bellocq's Girls" with traditional jazz music, drinks and "whore-derves." All Original Art for Sale, as well as Posters. Check back for times to view between May 10-27. Free Mother's Day Community Circus Show!